The Consummate Hostess: Evites- Oui ou Non? 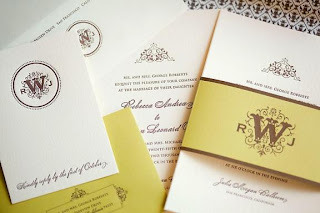 Traditionally, there are five types of invitations- verbal, handwritten, engraved, folded and note cards. In the last ten years or so, evites have become quite popular enabling the host to throw together a last minute party and quickly inform her guests. What do you think? Are you a fan of evites? Do you like the ease of sending email invitations and the fact that the invites are free? Do you enjoy all of the templates that evites offers and how easy it is to track RSVP'S? Or, are you more of a traditionalist and believe that invitations should always come via regular mail or verbally? Do you like the formality of receiving an invitation in the mail and the anticipation that comes with slowly opening the envelope? This entry was posted on 8:49 AM You can follow any responses to this entry through the RSS 2.0 feed. You can leave a response, or trackback from your own site. I cant stand them but I guess if someone is hosting a Tupperware party or some such product party they are ok. Invitations set the tone and when the host/ess doesnt bother to send a proper invite it makes me think they dont care very much about their party. E-vites dont command much respect - people dont feel they really need to rsvp since it isnt really a proper invitation. I also dont like e-vites because they allow everyone to see everyone who is invited and coming to the party. Although email invitations are quicker and more convenient, there is nothing as such receiving a proper invitation, opening the envelope with a smile and placing the card on my desk! it all depends on the event. but i have done evites and also send out regular mails for events. because lots of ppl do not know how to call back or email their rsvps. so i would also send an evite out too so that they can reply to that. I think hard mailings are much more special but the evites are convenient and cheap! I am not a fan of evites, but receive them several times a month. However I do understand the ease of them and people are so busy these days. If I do something online/via email..I prefer to upload a great custom invite that I do with all the info on it and just attach it and send. everyone can see something pretty and creative and simply respond back to me on email.. I have to stay stick with mail! For one thing I think it is so fun to find something unexpected that is not bill related! I am a fan of e-vites ONLY for casual gatherings. A paper invitation is definitely the nicest way to invite your friends to a more special and formal occasion. I love paper invitations! It is terribly fun to receive one in the mail - the anticipation of opening it is great, plus I usually save mine. I guess evites have their place, but I have never really liked them and definitely never used one. I think if I was having a last-minute get-together, I would probably just call people. I prefer mail invitations, but I've had problems with RSVPs...what I like about Evites is that you can see who's viewed them, it's easy to track that way. I love getting invitations in the mail and feel it brings a certain charm to the occasion. For certain events evites are very appropriate, but a wedding? What a wonderful blog sweetie! Come stop by for a slice of San Francisco.. I love paper invites. I think it sets the whole tone for the party. I just picked up the invites for our Christmas party, and the wreath on the door will coordinate, as will the favors. I think evites are tacky. I love getting paper invitations in the mail. However, sometimes, evites work well. Impromptu gatherings happen a fair bit and for these moments nothing is as perfect as an evite! Last year we decided, about 2 weeks before New Year's Eve that we would have a New Year's Day Brunch and Bowl party. We used Evites and it was fabulous. We have also used them for spur of the moment BBQs. I have a bunch of invitations (for various things) in one of my drawers... perhaps I should pull some out, fill them out and put them to good use! I loathe them. I think they are the height of bad manners. No seriously I can understand the convenience but it doesn't take that long to post something, and it shows you care. Or what is wrong with a phone call? And interestingly, in my professional life my clients tell me they also loathe evites to our client functions and also those appalling electronic Christmas Cards. So there is hope for us all. i dislike them as well. they are so impersonal. especially when the parents send an evite out for their childs birthday party. i LOVE searching for the perfect birthday invite. Keri - we got an evite to a 1st birthday party! And the hostess could not fathom why hardly anyone rsvp'd or showed up! She didnt bother to find out if she had the correct emails for everyone! Her poor little son doesnt have the invite from his 1st birthday party for his memory box! I appreciate all of your comments, clearly the topic of evites is one that you feel strongly about. Like many of you, I favor the traditional invitation. There is something so great about pulling open your mailbox and having an invitation to greet you. I also like seeing how the host/hostess personalizes the event with special touches on an invitation. For me, nothing sets the tone of an event quite like a nicely done invitation. I don't care for evite invitations. I don't care to see responses from invited guests whether they plan to attend or not or why they aren't able to attend. I prefer invitation by mail and responding appropriately and privately. Ok, ok, call me an evite snob! I've used evites/gotten them for smaller parties or get togethers. Anything more than that, I'm all for paper invitations. There is nothing more fun than getting something in the mail that isn't a bill! I've used pingg for a tupperware party, which was really neat. But nothing beats a little paper suprise in the main. I love making invites, but it's hard to find the time! Very traditional. I dislike receiving evites, unless it's for a very informal gathering of close friends. Just my opinion, but electronics (email and cellphones) have already created enough communication shortcuts and bad manners, surely 'entertaining' can hold to some civility.